For my Thanksgiving table, I did not have enough room for desserts on the table so I made a dessert and to go station on a sideboard nearby. 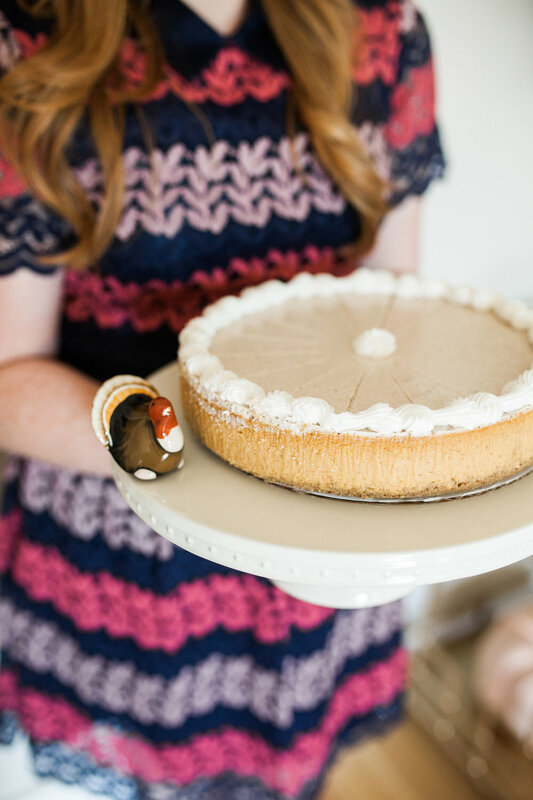 We had pumpkin cheesecake and Brightside Bakery treats. 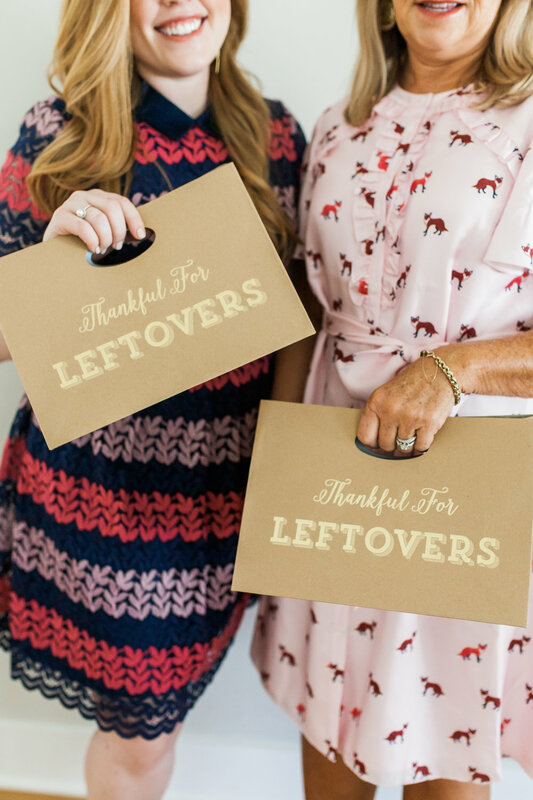 Since Thanksgiving is notorious for leftovers, I included the cutest "thankful for leftovers" bags and pie boxes for leftovers. 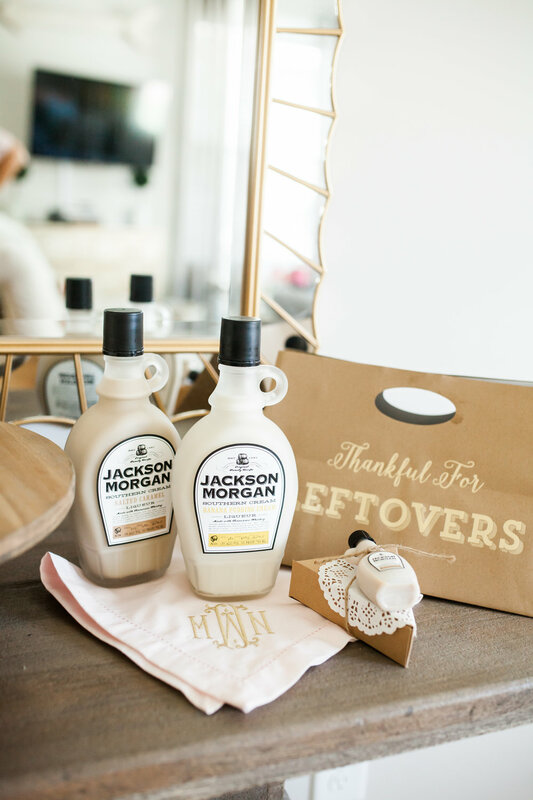 I made the pie leftover boxes into a party favor by tying a mini Jackson Morgan bottle to the top. I scored these pie boxes in the Target dollar bin, but linked a similar option below. You can shop this post with the images below. Do you have a dessert table or area for Thanksgiving?